Winter Reimagined at Tower Hill – Dutch goes the Photo! 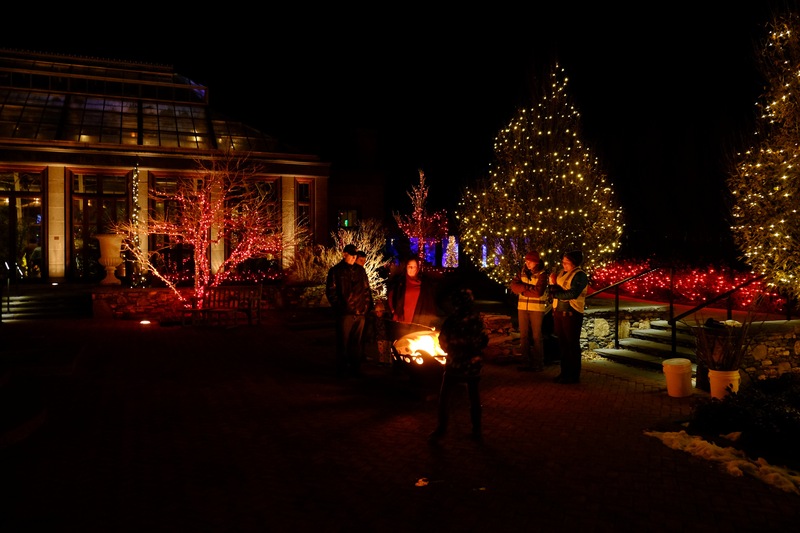 Thursday night, my wife and I went to visit Tower Hill Botanic Garden to see their current exhibit ‘Winter Reimagined’. The Botanic Garden is always among our favorite places to visit, as it affords wonderful strolling along the many paths among the trees or through the systematic garden. Winter is typically an indoor season for Tower Hill, as lush trees and plants grow in the conservatories, where the climate is in the subtropical range. However, this Winter visit, we spent our time mostly outdoors. 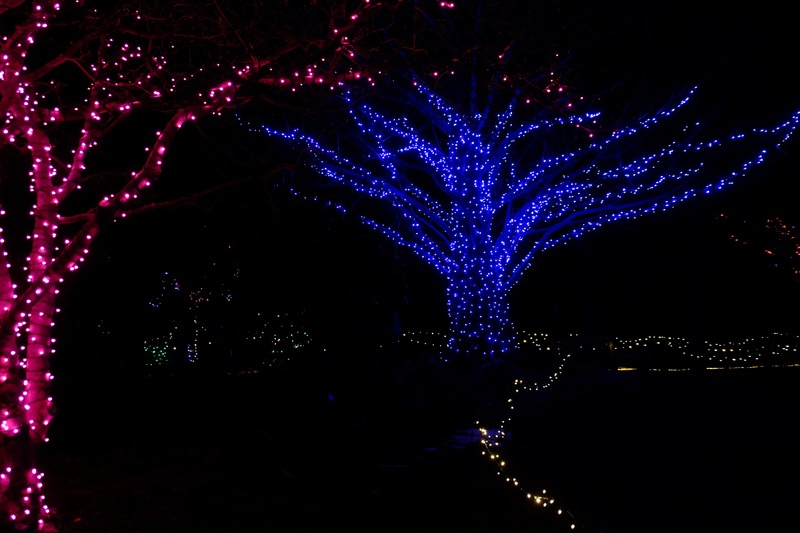 The trees and paths have been decorated expertly by the staff to present night vistas that are a feast for the eyes. A variety of colors play together to create interest from just about any angle. The courtyard provided an opportunity for families to roast some marshmallows over a fire tended by staff; this little touch of atmosphere amidst the conservatories definitely adds a lovely seasonal feeling, that harkened of times past (where’s Dickens?). 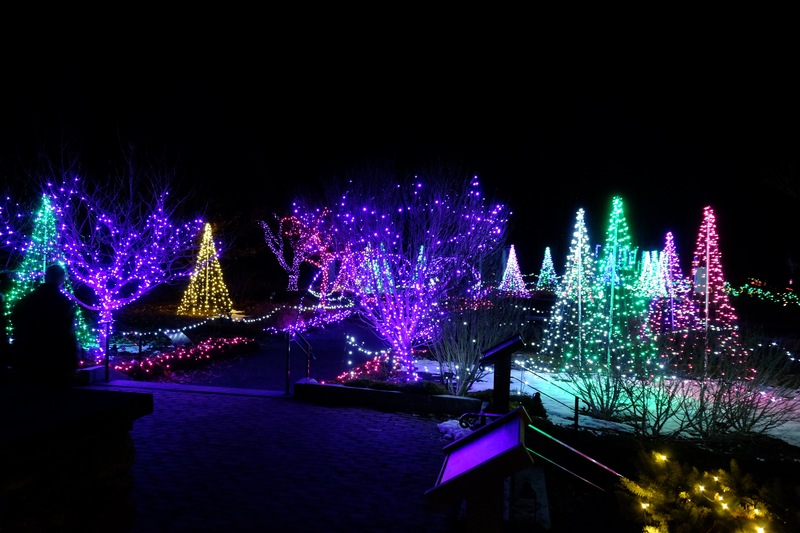 The systematic garden is a veritable festival of lights, as they are everywhere to fill the senses to the brim! It was a wonderful experience on a brisk night that left us invigorated and ready for a bit of hearty supper! Previous Previous post: Where has the water gone?